If you have an interest in mythical creatures, you’ll be delighted to learn that March 9 is celebrated as National Unicorn Day. Unicorns are fantasy and mythical creatures which are depicted as a beautiful horse with a single horn which spirals and projects from the middle of its forehead. The word unicorn comes from the Latin words unus (meaning one) and cornu, which means horn. 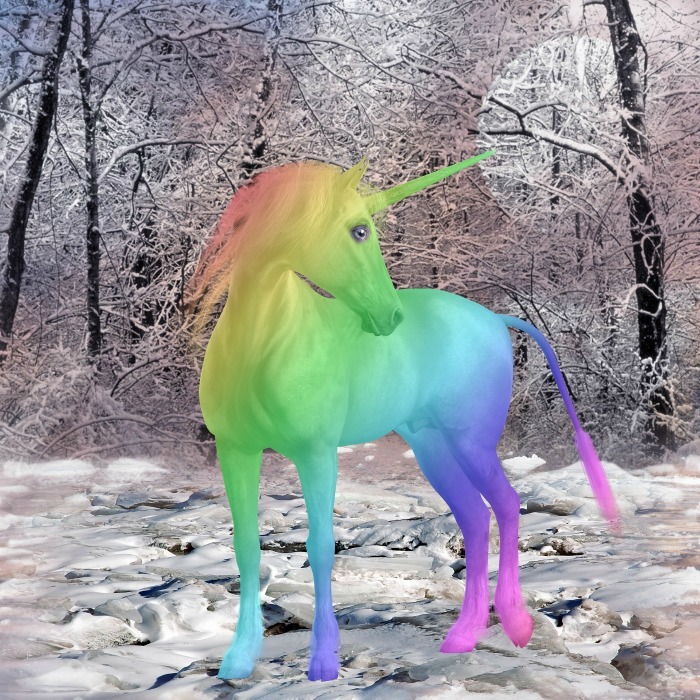 Since unicorns are legend, the facts need to be taken with a grain of salt, but these fun facts will help you better understand the mythical creature. Unicorns live in the forest. While unicorns can eat grass and hay, they don’t need to eat real food. A unicorn absorbs its energy from the sun, likely through its horn. Unicorns live in groups of 4 or 5. The elder unicorn is hundreds of years old. 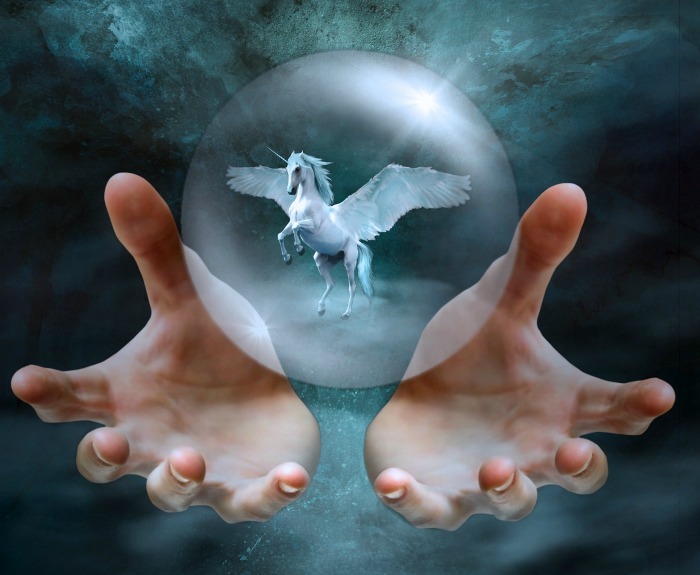 Unicorns are an earthy creature with no wings but if a unicorn mates with a Pegasus (a mythical flying horse), the baby may become a flying unicorn. Unicorn horns are called alicorns. Unicorns are mentioned in many Asian and European tales. Unicorns can be of any color. A unicorn can perceive truth and may pierce the heart of a liar with its horn. 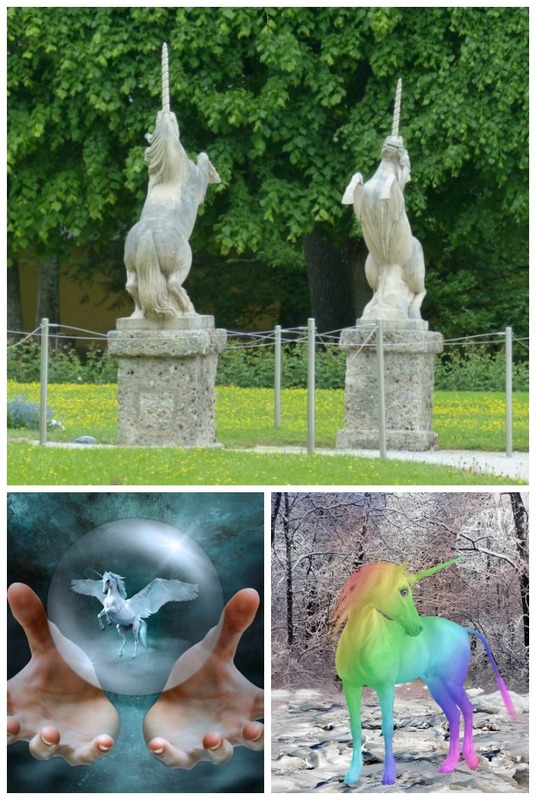 The ancient Greeks wrote about unicorns in accounts of natural history, not mythology. Unicorns are mentioned several times in the bible. In 1741, pharmacies were selling powdered unicorn horn. National Days of the year are fun to celebrate and Unicorn day is a special treat. Here are a few ideas. Treat your child to a Sparkles unicorn pet. 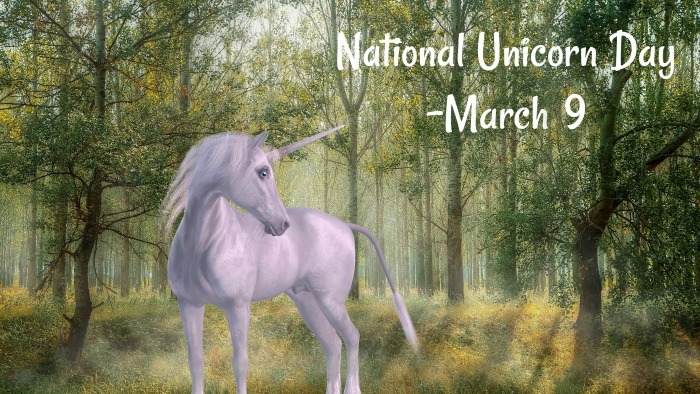 Use the hashtag #nationalunicornday on social media to spread the word about the day. Go all out for National Unicorn Day with Unicorn leggings for your workout. Have a movie night and watch the DVD – The Last Unicorn. Hide Unicorn Filled Easter Eggs for a party. Have a craft day with kids and create unicorn crafts. There are close to 2000 National Days in the year and over 150 of them happen in April. Check out my list of other National Days in April here. Be sure to check back often to see which day we are celebrating today. Would you like a reminder of this post for National Unicorn Day? Just pin this image to one of your fantasy boards on Pinterest.